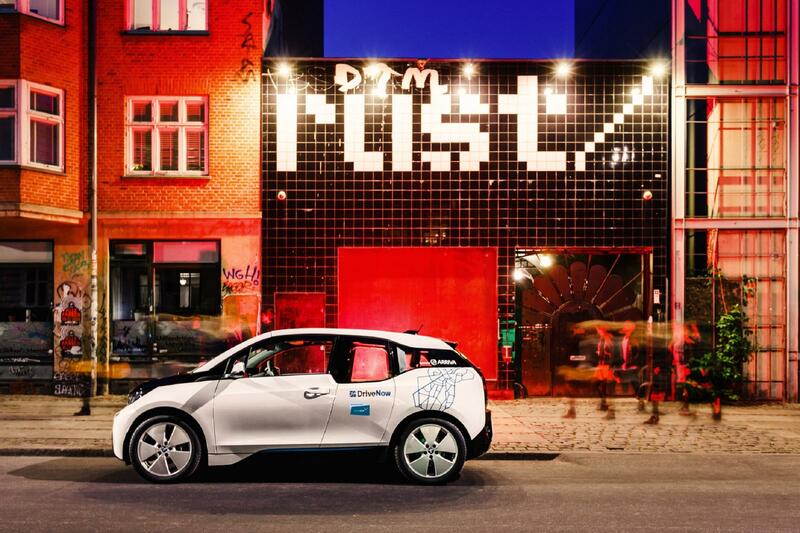 The BMW i3 with Range Extender makes the DriveNow car sharing fleet miles more attractive. It offers a tremendous amount of power, and yet is almost completely silent. Thanks to the smart BMW eDrive. And yet the BMW i3 REx is extremely enduring as well as dynamic: its battery can travel up to 300 km (185 miles) before it needs recharging. For the perfect feel-good ambience, this compact 5-door vehicle has a range of packages with special features such as Driving Assistant Plus, which includes Congestion and Lane Keeping Assistant and Collision Warning with City Gradual Braking Function. Park Distance Control with the Rear View Camera makes parking the BMW i3 REx especially easy. Thanks to the high-voltage battery and Range Extender, you can cover routes of up to 300 km* (185 miles). The current range is permanently displayed by the charge level. 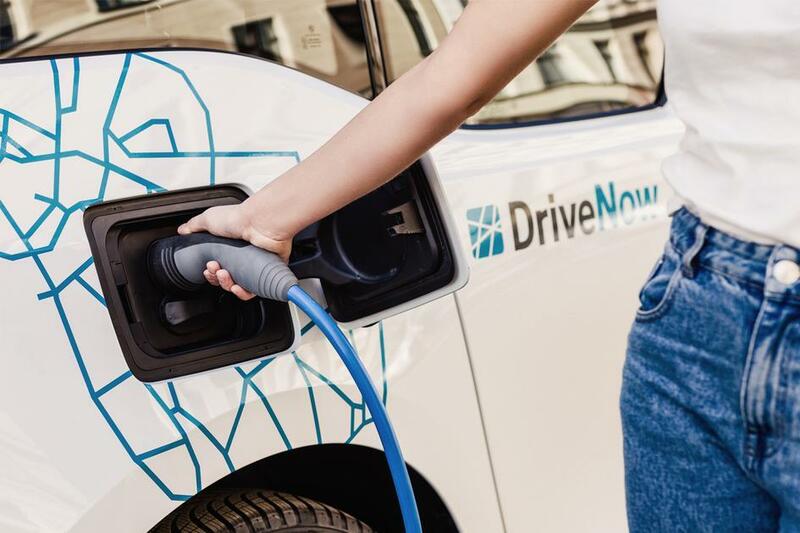 You'll find all the charging stations displayed on the screen of your BMW i3 under "Points of Interest" or via the search function on the DriveNow app. Gentle power: the single-stage gearbox transmits the power of the BMW i3 REx perfectly to the rear wheels. You can easily accelerate to 150 kph (95 mph) using the sensitive pedal. The speed reduces as soon as you lift your foot off the pedal. The electric engine of the BMW i3 REx also has plenty to offer: 7.2 seconds is all it takes for its powerful torque to accelerate from 0 to 100 kph (0 to 60 mph). The combination of a very low centre of gravity and ideal weight distribution ensures that you have a fascinating driving experience. But why not experience it for yourself! * Range depends on various factors, in particular driving style, road conditions, outside temperature, heating/air conditioning, pre-temperature. ** CO² emissions resulting from the production and provision of other energy carriers were not taken into account in the calculation of CO² emissions.